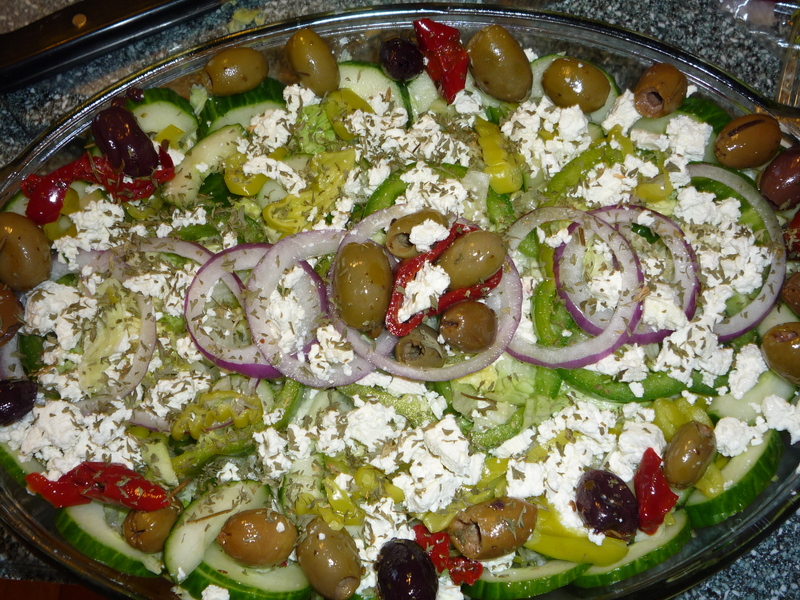 The secret family recipe – Greek Salad! My plan today was to write a post about my car buying experience this weekend, which I was hoping to culminate in pictures of me in my new ride. Alas, the process is still ongoing, so that post will have to wait! In its place, I will post a recipe that my sister-in-law has been begging me to put up for months. 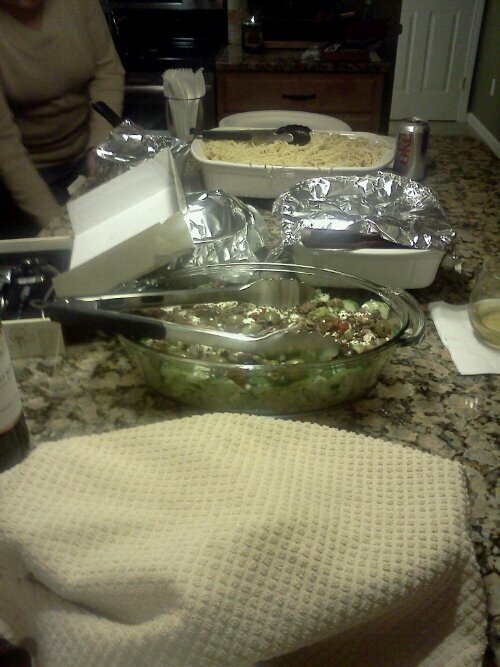 The Hirschberg Family’s Famous Greek Salad. Its true, we are known for this delicious, nutritious meal in itself, or an amazing side dish. Yes, you will also note that this recipe calls for iceberg lettuce. This is NOT a suggestion. The only way that a greek salad can reach its delicious best is with iceberg, as generic as that may seem. Now it is time to finish the dressing! Add vinegar, sugar, Worcestershire sauce, salt and basil to the oil/garlic/olive mix. Shake and allow to sit for at least 1 hr. 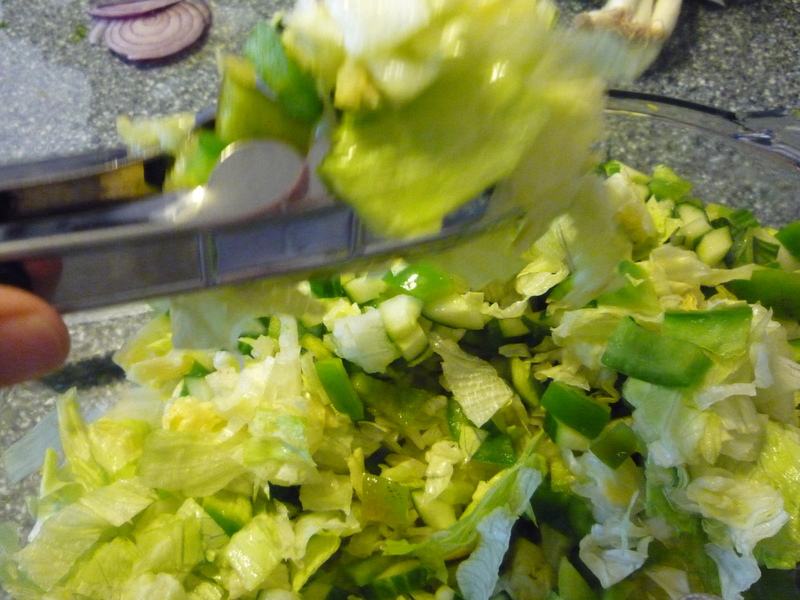 10 minutes before you serve the salad, shake and pour the dressing EVENLY over the top, do not mix!! 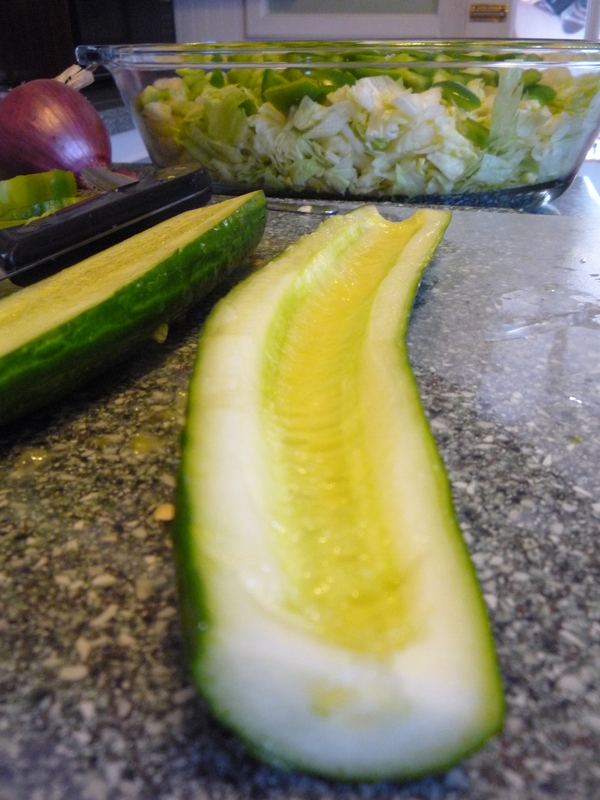 It is very important that the salad marinades in the dressing for a minimum of 10 minutes. You do not have to use all of the dressing, use your judgement here. 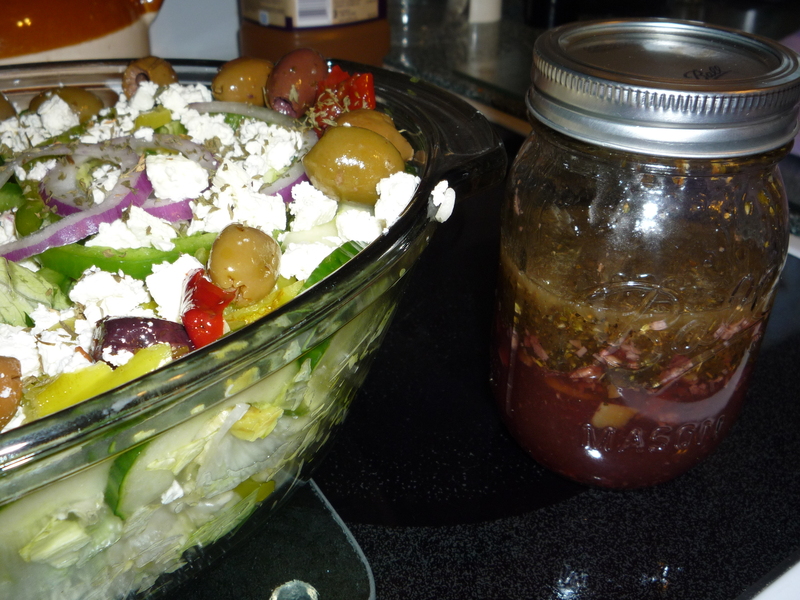 This entry was posted in Recipes and tagged cook, cucumber, dressing, feta, greek salad, lettuce, main course, olives, potluck, recipe, salad, salad dressing, side dish, supper, vegetable by reneeh. Bookmark the permalink. This salad looks amazing! I am a huge fan of Greek salad and especially feta. Thanks for sharing this special recipe! Man do I love feta. This salad looks like a great balance of colors, flavors and just enough dressing! I love Greek salads, mostly because I pile on the feta hehe. Your dressing sounds so yummy! There is an Egyptian restaurant in Knoxville (yes, you read that correctly 🙂 that makes the BEST Greek salad ever, and this looks exactly like theirs! Now I know their secrets, muahahah!